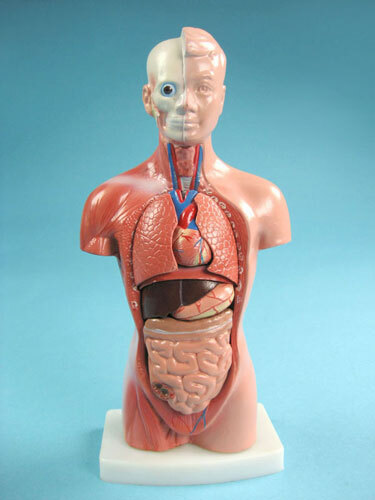 Detailed partial dissection of a human torso. 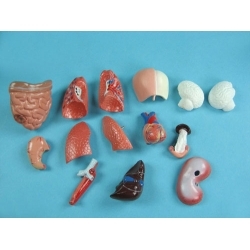 Shows internal organs. 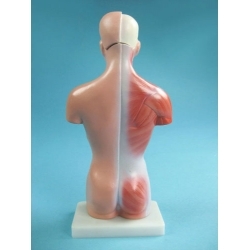 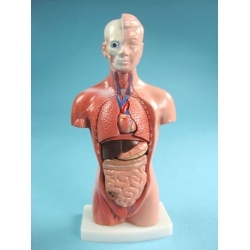 Description: This most popular educational torso features: torso, brain (2 parts), cut calvarium, heart, lung (4 parts), stomach, diaphragm, liver, heart, trachea & esophagus & aorta, pancreas and spleen, intestine etc. 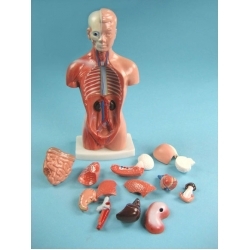 Dissectible into 15 parts. 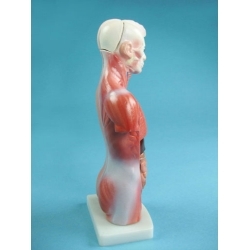 Size: 26CM.